A prominent U.S. politician has slammed plans for exchange traded funds backed by physical copper, arguing they could pinch industrial buyers. Financial hoarding of base metals is a problem, but it’s more to do with cheap money and warehousing rules than speculation with ETFs. 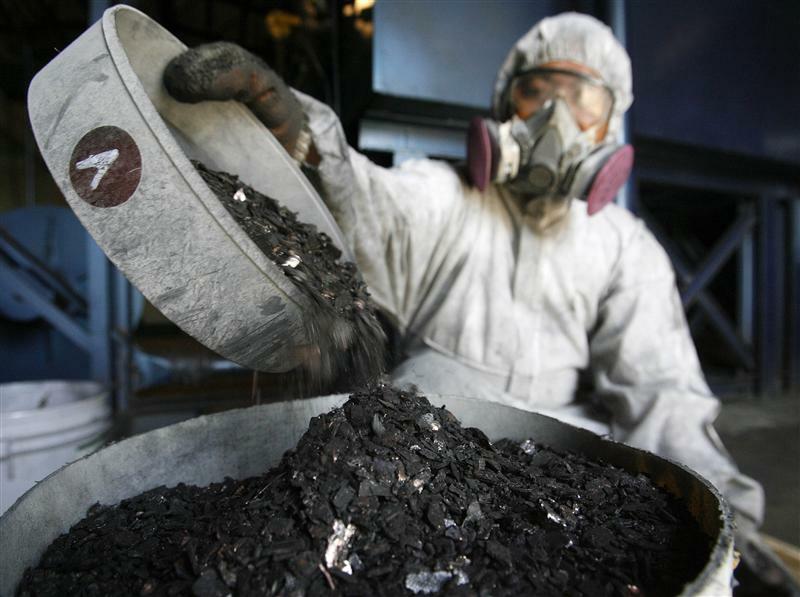 A worker weighs metal alloy with carbon char produced from electronic waste that went through the Molecular Gastification Reduction machine inside the Integrated Recycling Industries at Calamba, Laguna, south of Manila in 2011. The e-waste recycling and reclamation company salvages gold and other precious metals like silver, copper and palladium from microprocessors of discarded electronic products like desktop computers, laptops, mobile phones and copying machines. A U.S. Senator has written to U.S. regulators to object to JPMorgan’s plan to introduce a new exchange-traded fund backed by physical copper. Carl Levin, a Democrat from Michigan, argued that the JPM XF Physical Copper Trust would disrupt copper supplies and inflate prices by removing a big chunk of supply from the market. Filings with the Securities Exchange Commission suggest the ETF could end up holding as much as 61,800 metric tons of the metal, based on July 6 prices, if all of its registered shares were sold. BlackRock, the U.S. fund manager, is planning a separate physical copper ETF. Senator Levin’s letter echoed objections to the JPMorgan fund lodged by several industrial buyers of copper, who argue the ETF would distort prices. The world’s first physically-backed copper ETF was launched in 2010 by London-based ETF Securities. It is backed by warrants for copper on the London Metals Exchange.